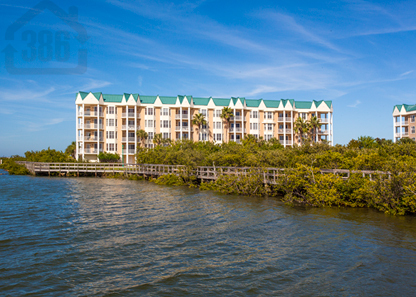 Harbour Village in Ponce Inlet is a breathtaking condo community with relaxing views of the river and ocean. Enjoy activities and a social environment like no other condominium in the Ponce Inlet, Florida. 1 bedroom, 2 bedroom, 3 bedroom and 4 bedroom condos are available with views of the ocean, river, marina, and Ponce Inlet lighthouse. This luxurious condominium property offers boating and water enthusiasts an opportunity to purchase a dock to store their boat, yacht, or jet skis. Boat slips can accommodate large and small boats and Ponce Inlet is only a short boat ride to the Atlantic Ocean for deep sea fishing and diving. Buyers can purchase a condo in Harbour Village in all price ranges. Condo units start in the mid 100's. Harbour Village is a great place to vacation or call home in Ponce Inlet, Florida. Contact us today to schedule your Harbour Village showing. Ocean front clubhouse with gym, pool, and social area. Each unit features different views and unit features. Unit features may include granite counters, corian countertops, hurricane shutters, wood flooring, tile flooring, multiple balconies, and more. Premium units feature 2 secured parking spots and additional storage areas too. Pet policy 2 pets no maximum weight. There is much more to Harbour Village in Ponce Inlet. Contact Kevin Kling for more information 386-527-8577.